Next City pointed me at a new ad campaign the state of Wisconsin is running aimed at luring Chicago Millennials to move north. The messaging conveys the central idea that Wisconsin is “more you.” You can be more here, mean more, create more impact, and have more, making Wisconsin a better fit for you. To drive this point home, specific ads contrast life in Wisconsin with that in Chicago, highlighting the state’s shorter commute time, lower cost of living, lower taxes and numerous recreational, social and cultural opportunities. I find this interesting because, other than potentially outdoor recreation, the campaign does not really attempt to convince you that Wisconsin is better than Chicago in any respect, merely that the costs of living there are lower. 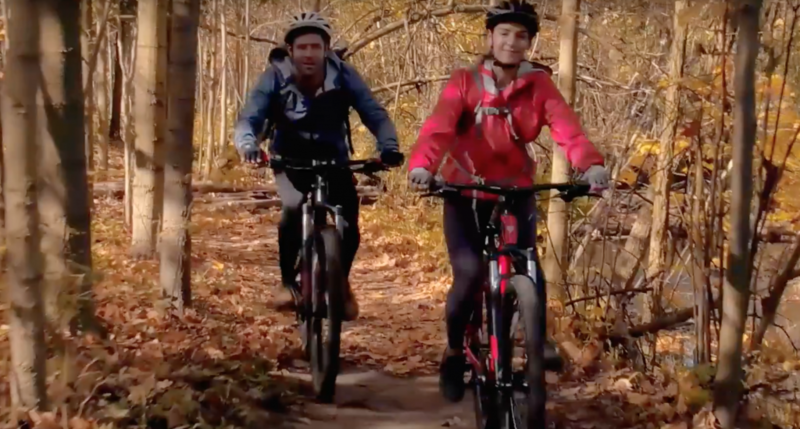 In terms of product, the campaign imagery portrays Wisconsin in two ways: as a place for outdoor recreation, and as a facsimile of urban Chicago. Here’s a stylishly dressed couple heading to a swank restaurant. The image at the top of the post shows outdoor recreation. Here’s another example. One thing about a campaign like this is that attempting to lure residents to a state, as opposed to a specific locale, is an intrinsically difficult task. Wisconsin has multiple urban centers and diverse rural type areas as well. State agencies have to be fair to all areas of the state. But it’s impossible to represent all areas equally well in a campaign of this type. So they have a hard job. I’d also give them kudos for the outdoor focus. Wisconsin is already known to Chicagoans as a place for outdoor recreation, weekend homes, etc. Chicago has the lake, but otherwise much of northern Illinois is flat. So it’s natural to highlight the easy availability of outdoor activities in selling the state. It’s interesting to see that the campaign appears to steer clear of hunting and fishing, two great Wisconsin pastimes. Unfortunately, they are attempting to compete against Chicago where Chicago is actually pretty strong. The Windy City is more expensive than Wisconsin, but probably has America’s best “Quality-Price Ratio” of when it comes to truly big city urban environments. The reality is that someone with a professional income can live pretty well in Chicago. Also, you aren’t going to live in one of nicer urban precincts of a city like Milwaukee for the ridiculously cheap rent you might imagine, particularly if you want to live in one of the high quality apartments or homes showcased in the video. As I always remind people, choosing a place to live is more like buying a house than buying laundry detergent. For Tide, all you care about is the price tag on the bottle. But I’m guessing very few of us live in the cheapest home we could find. It’s more likely the opposite, that we live in the most expensive one we can afford, in the best neighborhood, with the best schools, the nicest amenities, etc. Price is a factor, but not the only one. Also, if cheap is what you are looking for, America, and even the Midwest, is replete with low cost communities. Another of their focus areas is commute time. They claim that, ““Chicagoans have the longest commute times in the country.” I thought this was curious, but perhaps it came from this survey. By contrast, they note that Wisconsin’s average commute time is 22 minutes. It’s not fair to compare a city against a state in commute time. But even so, per that survey that says Chicago has the worst commute, the average commute time there is only 32 minutes. Are people really going to move to another state to save ten minutes? Some people in Chicago undoubtedly have long commutes. But some do in Wisconsin as well. I never had an L commute of anywhere near an hour, not even when I lived in Evanston. So I don’t think the hour commute they talk about in at least one of their ads will even resonate with most Chicagoans. Also, their shots of the L make the principal negative feature boredom. But otherwise it actually looks quite pleasant, with no crowding at all – maybe even better than reality. The best Wisconsin appeal based on a cost-quality-commute type of evaluation is probably suburb to suburb. The nicer suburbs of places like Indianapolis and Columbus compare very favorably with most Chicago suburbs. I would assume the same is true for Madison and Milwaukee. Of course, in Chicagoland the suburbs are actually seeing declines in college-degreed Millennials, so the pond to be fished there may be limited. Then again, maybe Wisconsin’s best appeal isn’t to Millennials, but to Generation Xers in the 35-55 bracket. When I think of Wisconsin I think of cheese, beer, Packer nation, pristine lakes and forests of the northern part of the state, the Dells, and Madison’s (deserved) reputation as one of the best (if not they best) examples of a lefty college town. Some of the Wisconsin images, such as beer and brats, also apply to Chicago, making them hard to use as a marketing hook. But many of the traditional ideas about the state are missing from this campaign. Chicagoans, who know those images well, will probably be wondering what’s up. Maybe cheese curds aren’t cool. But then again, either was Pabst Blue Ribbon until some marketing folks made it so. Marketing to Chicago, and potentially next to Minneapolis and Detroit, makes sense at one level. People tend to move shorter rather than longer distances. People moving to Wisconsin are also likely to have some historic connection to the state, and Chicago is a good place to look for them. But it’s also an example of the Midwest’s beggar thy neighbor style of economic development. The fight is against the city next door, with the rest of America (to say nothing of the world), not part of the picture. Is there a better market for Wisconsin to try to attract from? Based on its target geographies and appeals based on cost, this campaign doesn’t appear to becoming from a place of perceived strength. 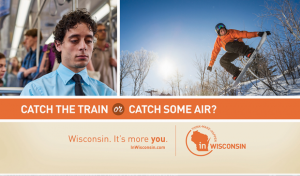 In addition to the apples-oranges comparisons you already mentioned from the ad compaign, there are a few others: Apparently while millennials in Chicago are on the L at 5:30pm on a winter weekday, Wisconsinites are snowboarding in the sun. Huh? Seems like that would have to wait til the weekend in Wisconsin too. Everybody would rather snowboard than work. But if you show people that they can make the same money along with the shorter commute, the less expensive housing, and the access to outdoor activities, maybe this ad would hit home. As somebody who recently departed Chicago for Spokane, WA I can speak to the quality of life issues advertised here. Spokane has the same low commute times, low housing costs, and great access to outdoor activities in every season. BUT……………….I never would have moved here if I wasn’t confident in my ability to get a great job. I think that the professional opportunities argument is overblown. In my case, I’m a redevelopment consultant based in Milwaukee working on projects throughout the US for a top 10 global design firm. There are credibly 100 or more potential quality employers I could work for in Milwaukee (30 to 40 engineering or design firms, 5-10 law firms, 20 or so Fortune 500 or 1000 firms, 20 real estate development firms, 20-30 municipalities, etc.) in addition to a wide range of consulting opportunities I could pursue on my own. My current firm has a 200-person office in downtown Chicago. But the pay scale for my colleagues in Chicago with similar experience is the same as living in Milwaukee. There’s no arguing that Chicago has a much greater job market. But my guess is that for at least 20% of professionals in Chicago, the opportunities in the Milwaukee market are more than adequate. The campaign would be a success if just a few thousand of these professionals were persuaded to make the move. However, if you then whittle that 20% of professionals down to either highly mobile singles or professional couples that both work in fields where Milwaukee is adequate, I suspect that the number of potential people looks much smaller. Wisconsin”s whole argument strikes me as a little wrongheaded. People–particularly Generation Y and the Millennials–who have consciously chosen to live in Chicago have already made the decision to accept some downsides (heavy traffic, higher rent, greater distance from natural beauty) for the upsides (great urban living, great dining, great cultural offerings, reasonably good public transport). These ads imply that people are wrong for valuing those things, which doesn’t seem very persuasive. The other alternative would be for the cities and state to invest in the amenities that young, educated workers in Chicago are looking for–walkable urban neighborhoods, good mass transit, and plentiful cultural offerings. But that takes a lot more time than running a few ads on the train. And as far as the outdoor opportunities… I wrote a story a few years for a trade pub about the difficulty of attracting physicians to rural areas. It so happened I talked to people about their effort in Wisconsin, and I asked whether outdoor attractions is a selling point to get a doctor to move. Their response was that outdoor activities were close enough that they didn’t need to live there — it was good enough to go on the weekend, and keep all the benefits of an urban area. Project much? Just because you think that’s you on that train, and you’re sooo far above all that small town dysfunction and backwards thinking doesn’t make it so. By all means, stick with Chicago and their great governance. You’re definitely a one-trick pony when it comes to commenting. Let go of the hate, son. Believe it or not, most of the young professionals targeted by this campaign chose to move to Chicago, and in fact probably set that as a goal in college or even beforehand. While cities such as Chicago, San Francisco and New York have their issues, perhaps the likes of Scott Walker should think long and hard, and maybe do some research, about why his state’s educated populace leaves for those places very willingly. If low taxes and a cheap cost of living are driving factors in where to live and work, then how come nobody is flocking to Mississippi? There are lots of young people who move to Chicago as a life experience without intending a long-term buy-in to Chicago’s community, economy or sociopolitical ecosystem. But as I said in my rambling post, Wisconsin might have better luck fishing for them in Wrigleyville than along the Brown Line, where people are really starting to establish themselves. You’re kidding, right? The overall pattern is for quite some time is exactly that- people fleeing high cost, high tax states for low regulation, low tax, less expensive living areas. Your comment on Mississippi aside, places like Texas, Florida, North Carolina, Georgia, and Arizona are on the positive side of domestic migration. New York, California, and Illinois are losing residents by the thousands, every year. This is even the case for tech workers. It’s less true for young professionals- every one wants to live in a cool, hip city. 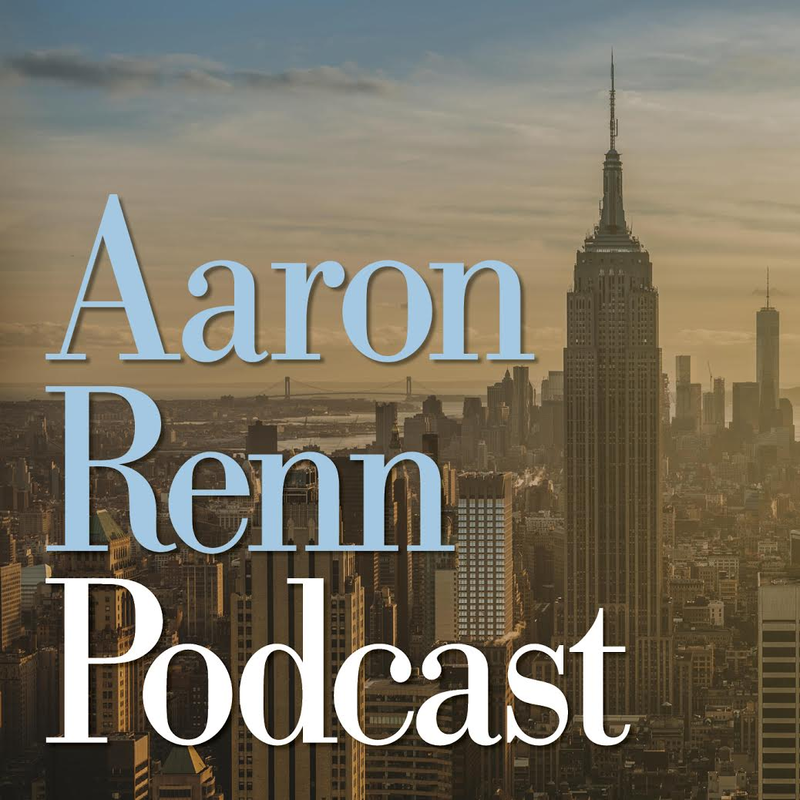 At some point, though, those young professionals will start to marry and form families, and when that happens, they’ll join many others and move to where housing is affordable, unless they are on the wealthier end. I think that those successful sunbelt states indicate that there is a minimal level of the quality of institutions, infrastructure, and governance necessary for people and firms considering a move to more affordable locales. And one more thing- taking shots at Scott Walker is a favorite pastime of the left, but it’s rich to see a resident of Illinois take shots any any other state. Illinois is a special category of crazy- the worst credit rating in the nation (just above junk status), and a state in which four of the last seven governors have spent time in jail. Basically California, minus the nice weather. Another thought: I wonder to what degree politics drives young peoples’ choice to relocate? Surveys show that people under 35 are disproportionately left-leaning and anti-Trump. (This goes doubly for the college educated.) Maybe they’re preemptively ruling out places identified with conservative state and local government. The only red state destination that seems to be hot with younger people seems to be Austin, an exception that only proves the rule. Or maybe my gut feeling is off and this effect is weak; either way, I think it bears some thought. In general, I agree the ad campaign is very generic and doesn’t make a good case for Wisconsin. The photo of people drinking cocktails on the roof? It’s literally the only rooftop bar in Madison or at least it was in 2010 when we left Madison to move to Brooklyn. Businesses, planners, politicians in the Midwest really need to abandon believing a lower cost of living somehow outweighs any other factors like public transportation, well-supported institutions (more than one museum, one theater, etc. ), housing choices, and “downtowns” consisting of a few blocks. It’s an example of the killer pragmatism that you’ve identified in the Midwest and it reveals just how out-of-touch with the very populations that places like Wisconsin want to attract. -Madison: A nice little college/government town and probably the best fit for the targeted Brown Line campaign*, but career opportunities are limited and apart from being the state capital, it really is a pretty small city/metro area where the suburban character comes on fairly quickly. Points for being the birthplace of The Onion but not much else. -Milwaukee: On its best day, Milwaukee is a smaller version of Chicago 30 years ago but without good transit or a strong professional services economy, and somehow its race relations seem worse than Chicago’s. Every once in a while you’ll see an article quoting Millennials who have moved to Bay View and swear up and down it beats Chicago. I have yet to meet any of those people. -Kenosha/Racine/Walworth Counties: Exurban counties riding a wave of logistics jobs, but you can see their future across the border in Lake and McHenry Counties, and soon. And again, their Illinois counterparts at least have the Metra (there’s one Metra line that ends in Kenosha). Pick two or fewer: Open spaces, short commutes, low taxes and explosive growth; you can’t have it all for long. Any would-be weekend warriors are going to find themselves on the wrong side of Madison or Milwaukee from the Great Outdoors parts of Wisconsin, and while that’s not as dire as clawing your way down 90/94 from Palatine to the Indiana Dunes on Memorial Day Weekend, it’s not exactly a trout fishing after work scenario. Somehow, I don’t see a lot of takers. *It’s pretty impressive that each of the L lines has developed such a distinctive personality that out-of-state marketers can use them as a proxy for demographics, but the Brown Line was probably a poor choice. It’s filled with liberal yuppie-ish “settlers” who are forming families and digging into Chicagoland, and their specialist careers might not be supported in Wisconsin. The middle (Howard) Red Line has a lot more bro-y types (of both genders) who might be from Wisconsin originally and/or inherently conservative enough that they’d want to flee Illinois after they get their Four More Years out of their system. The (O’Hare) Blue Line has more rootless artsy/entrepreneurial people who would be up for “pioneering” low-cost Milwaukee or even Sheboygan. The Orange Line would have more blue-collar workers who might be drawn to the logistics and light manufacturing economy in the borderlands, and the Pink Line would be a combination of the Blue and Orange Line demographics. But Wisconsin was very clear about the Brown Line having the kind of people it wants to attract, and it’s been pointed out that the Brown Line just happens to be the only line that runs solely through predominately white neighborhoods. Do States honestly believe that this kind of advertising works? Maybe someplace like Minneapolis or Columbus could do some advertising in certain cities to say, hey the job market here is great for techies and scientists and you can own your castle here for what you pay in rent each month to share a tiny apartment with three roommates on the coast. But it seems to me this would only work from an under appreciated position of strength, i.e. real wages are higher in Columbus than in SF, and the job market really is good. This effort by Wisconsin is deeply unfortunate. The Midwest needs to stick together and work in concert if it is to succeed as a region, but these states have decided to race to the bottom and rob each other; and in particular, Illinois. Apparently, Illinois being Democratic makes it persona non grata and simply impossible to cooperate with. Better to try to kill it then, right? Michigan, Wisconsin, Iowa, Missouri and Indiana are all trying to lure the state’s residents and businesses, citing taxes and cheap labor. The region is going to fail with this aggressively conservative, zero-sum attitude, sure as night follows day. And in addition to being destructive, their luring effort simply won’t succeed. Illinois talent, like Wisconsin talent, goes to the coasts, while its conservatives move to Texas, Florida or Arizona. Businesses that need talent will move to Chicago, or the coasts, while those fixated on labor costs will go to Alabama… or Mexico. But rather than ask how to differentiate itself from the South, Wisconsin thinks it’s a better bet to attack the state next door. Great points. As mentioned in other threads, Midwest states could concentrate on working together to build a skilled industrial workforce out of the assets it already has. But instead they concentrate on a race to the bottom that stars Chicago (and Illinois) as a bogeyman. Wisconsin (and Indiana) really need to own their blue-collar roots and develop educational and industrial policies that reinforce their manufacturing background. The two states, along with Michigan and Ohio, are the best positioned to develop an American “mittelstand”. 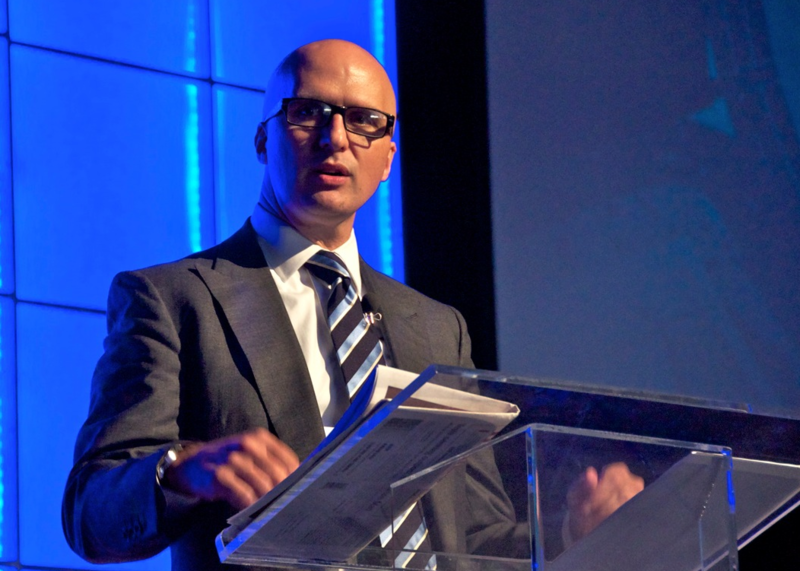 Let Chicagoland be the business-services core for the region. We need both in the Midwest. Chris – I agree with your comments but would only note that Milwaukee (and much of Wisconsin) very fully embraces its blue collar roots and manufacturing background. Milwaukee is one of the few cities actively focused on reuse of many of key historic manufacturing areas for new manufacturing. Manufacturing companies like Harley Davidson, Milwaukee Tools, Miller-Coors are global brands that are a key (and fully embraced part) of the City’s identity. The degree to which legacy manufacturing facilities are being preserved and repurposed is extraordinary – with at least 25 million square feet of these buildings in the Milwaukee area reused for office or residential use in the past 20 years. The historic Pabst Brewery may be the most compelling adaptive reuse of a major manufacturing facility in the US (and will be completed this year). The massive Foxconn project (regardless of whether supported by an excessive public subsidy) is an attempt to put the State of Wisconsin at the lead of advanced manufacturing. And is Wisconsin setting “ambitious” goals for 4-year college graduations, or are they building a vocational education/junior college system to support its manufacturers? That’s where I’m going: connecting state funding and policy to the state’s marketing position. I singled out Indiana and Wisconsin because the two states have the highest percentage of employment in manufacturing of all US states. Indiana is sending mixed messages. Alex – I believe the bar in the ad is the one atop the shiny new AC Hotel. So now we have 2.